Adam Ogilvie was born in Scotland in 1867. He played in goal for Forfar Athletic before joining Grimsby Town in 1892. After playing 21 games for Grimsby, Tom Mitchell persuaded Ogilvie to join Blackburn Rovers. He joined fellow Scotsmen, George Anderson, Harry Marshall, Johnny Murray, Johnny Forbes, George Dewar, Coombe Hall, Tom Brandon and Harry Campbell in the side. Blackburn's defence was now completely made up of Scotsmen. However, the club did have three talented Englishmen in the forward line: Harry Chippendale, Jimmy Whitehead and Jamie Haydock. In fact, Chippendale and Whitehead both obtained their first international caps in March 1894 in a game against Ireland. 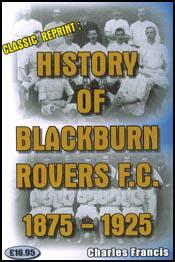 That year Blackburn finished in 4th place in the First Division of the Football League. This form was not maintained in the 1894-95 season. After playing 108 games Adam Ogilvie left the club in 1896. He played for Shrewsbury Town before retiring from football.